First month of the new year is officially over! How’s it going for everyone? So far, I’m feeling pretty good about this year. Which, in all honesty, is kinda surprising. If you were to write down everything that has happened in this first month, it would look like a pretty rotten start. It’s not getting me down though, I cant help but feel that even after everything, this year will be better than the last. Maybe its because there is something about a whole year ahead of you that just fills you with hope. Kind of like when you open a new journal, just something exhilarating about all those empty pages just waiting for you to fill them. Got some plans That I am really looking forward to, some new goals that I am working hard at reaching, and a few projects that I am mulling around. The first of these projects I have already started, but am a long way to completing. My first, and probably last, craft of the year…. 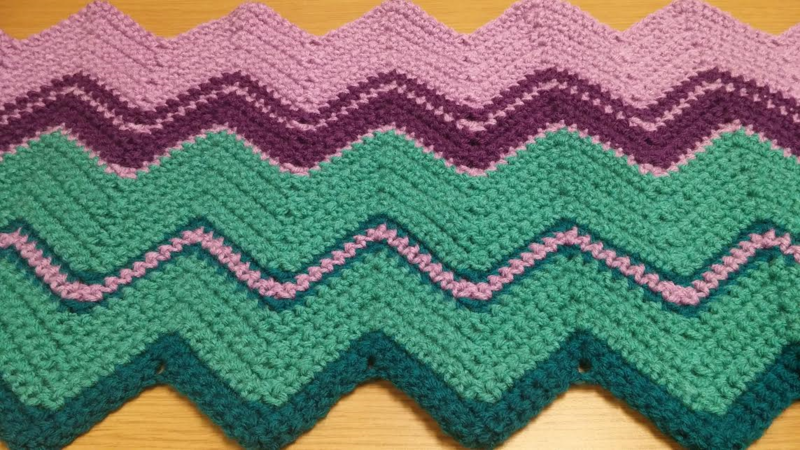 a Temperature Blanket! 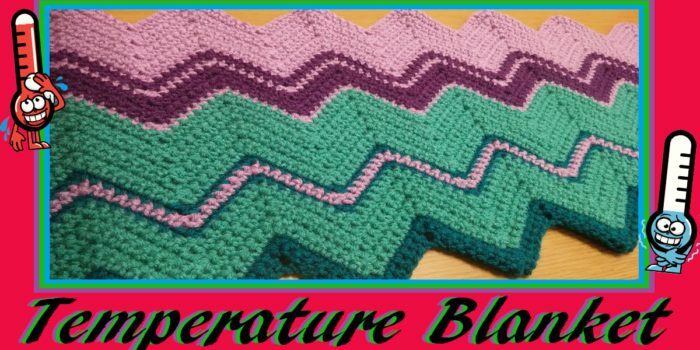 Have you ever heard of a temperature blanket? No? Me either until about half way through last year. My cousin sent me a picture of one knowing it was right up my alley. Instantly I wanted to start working at it, but as I said it was halfway through the year. At first that doesn’t seem like a big deal, but let me explain the concept. Every day you add a row to your blanket, the color of the row is decided by the average/high temperature outside. How fun right! So I could have technically looked up the temperatures from the months I missed, but that just didn’t feel like it was in the spirit of the blanket. 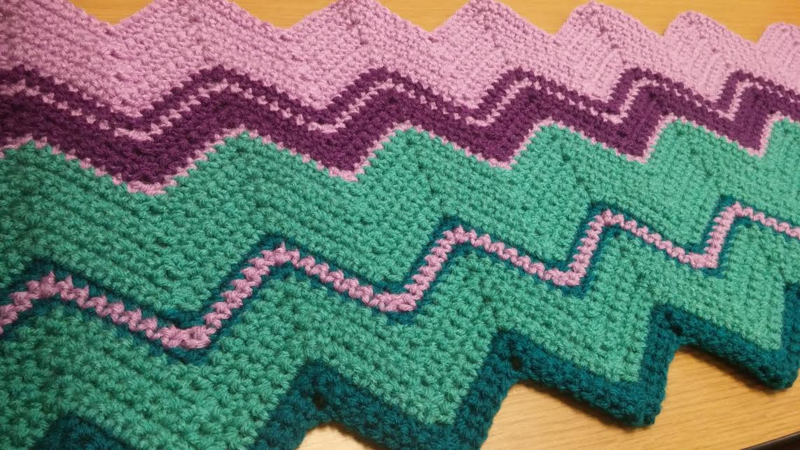 Its fun to watch your blanket grow with you throughout the year! After impatiently waiting for the new year, I am now really working on my patience as I wait to see how my blanket turns out! 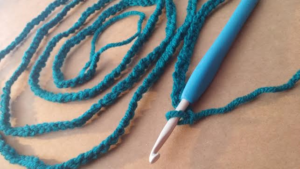 First step to working on your blanket is to set your temperature parameters. I set one color for every 10 degrees from 10- 100. For example 10-19 degrees is light blue, 20-29 is a dark blue and so on. Where I live the temperature jumps all around, so I have a wide range to play with. That may not be the case for everyone, so you will want to adjust your scale to what works best for you. You wouldn’t want to assign a color for 1-10 degrees of it hardly dips below 30 for you. 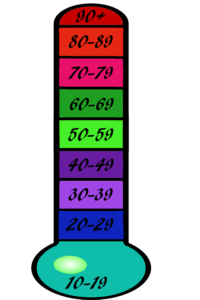 Also don’t want to assigns 10 degrees to one color if it doesn’t change temperature drastically in your area. In situations like that maybe change colors every 5 degrees, that way still have a colorful blanket when your finished. Really, it’s whatever you think will work best. Before you go and make any decisions you should get an idea of the average temperatures for your area. Sure after living there you probably have an idea, but it’s easier to plan ahead if you can look at it on paper… or well screen. To do this I used a website like this one . 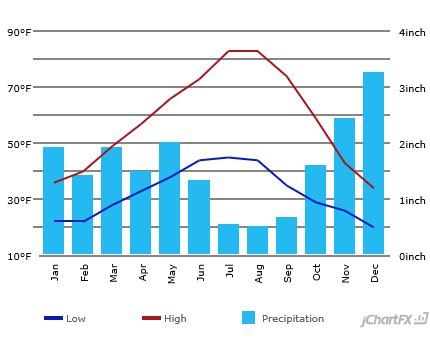 Once you look up your location you will be able to see a chart that will give you a rough idea of the temperatures that you will have to work with through the year. Another thing to consider while looking at the average temperatures is what colors you want to assign where. You don’t won’t your favorite color to be placed in a degree that will hardly be used. At the same point, want to make sure you really like the colors that match with the most common temperatures. For instance in the summer months we tend to be in the 80’s, so I want to make sure I really like the color I assign to 80-89° because there could be a lot of it. These are the temperature assignments that I have decided on. When shopping for yarn it’s a little tough to know exactly what you will need for the coming year, I decided to get two of each color. That will give me a good start and from there I will just get more of whatever color I start running low on. 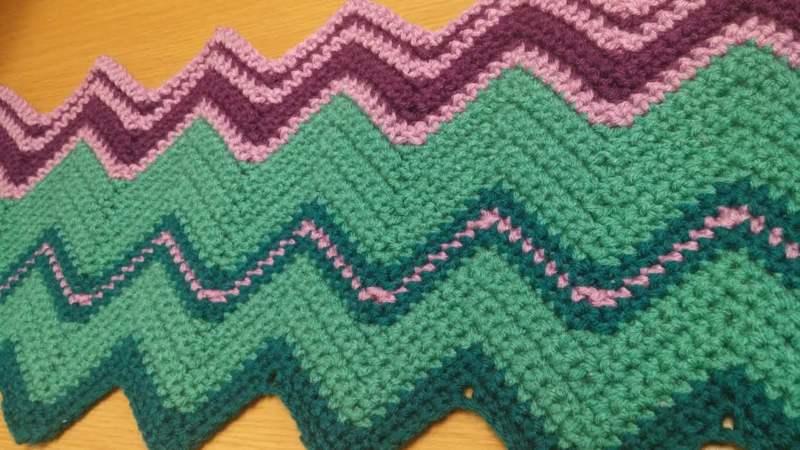 Once you have your colors figured out the next step is to decide on the blanket pattern you want to use. 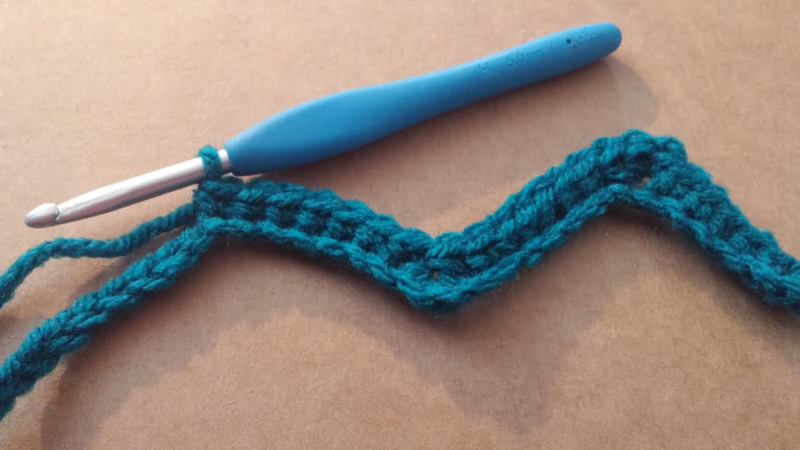 This is a very customizable project, so really you can use whatever pattern you like! I have decided to go with a zig zag patter that, if my calculations are correct, will be roughly the size needed to cover our queen size bed. I thought this would be a fun representation of the ups and downs of the weather, if you like that idea then you will be able to find the pattern below. Don’t like this? That’s fine! 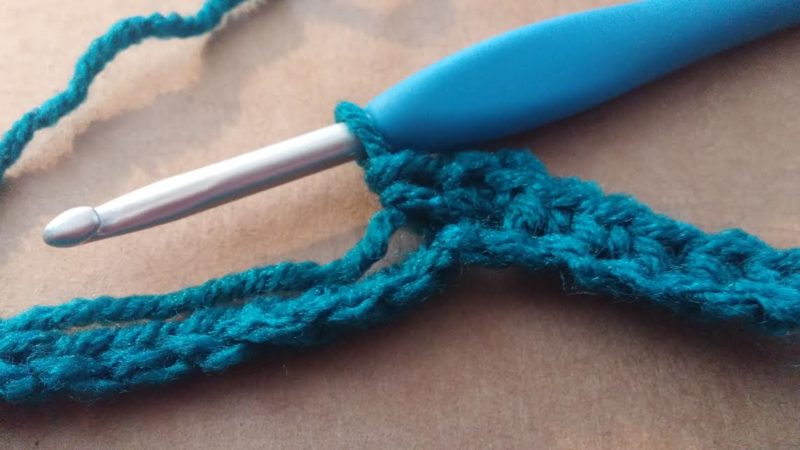 It can be as simple as single crochets for every row, or as complicated as a different stitch for every day of the week. Whatever you decide to do, just make sure that it is something you can keep up with. This is going to be a year long project, and you don’t want to get lost in it after a month or two. Also keep in mind there are 365 days in a year, could make for a very long blanket if use too big of a hook and stitch. 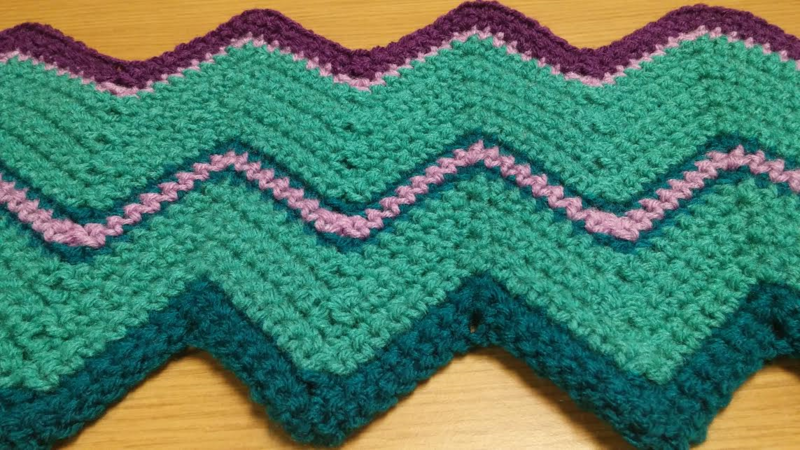 Now that you know all that you need to in order to make your own temperature blanket, its time to start crocheting! 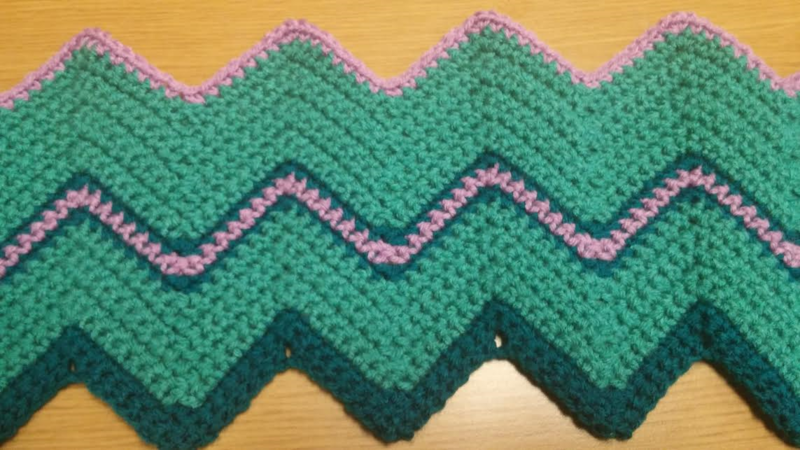 No matter if you are using a different pattern, or the one I provide, I’d love to hear about your year long journey with this project! Make a slip knot, chain 322. Next your going to sc the first two chains together. 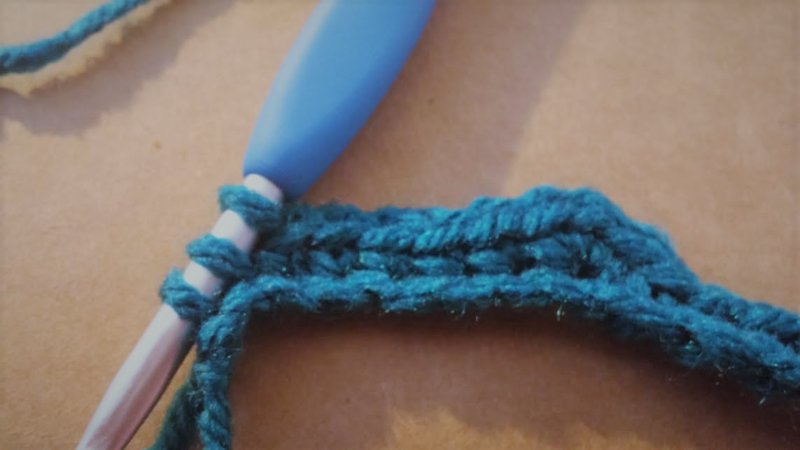 By doing this at the beginning and end of every row it makes for a nice solid edge of your blanket. sc in the next 5 chains. 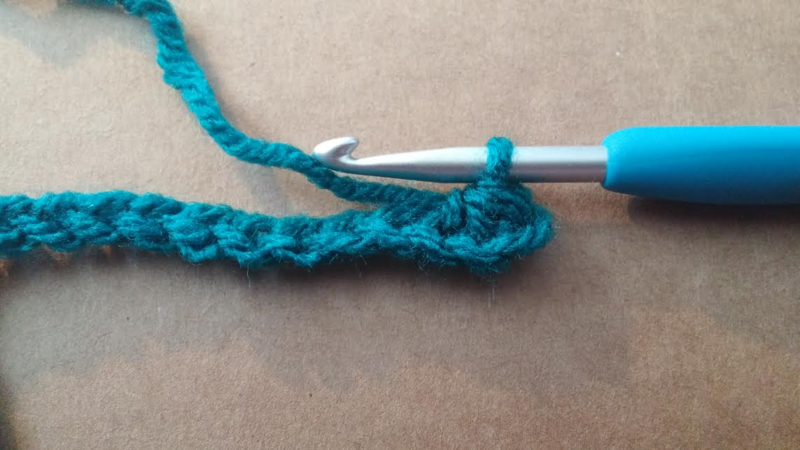 sc 3 stitches in the next chain. sc in the next 7 chains. *sc in the next 7 chains. You will repeat the pattern marked by * until you have reached the top 3 sc’s in the final peak of the row. From here you will sc in the next 5 stitches. Sc the last 2 chains together, ending the days row. At this point I do not tie off, I wait to see what the next days temperature will be. 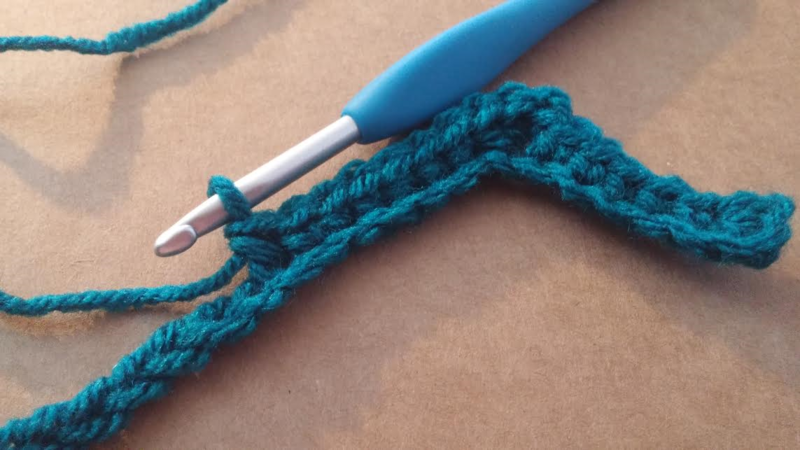 If it is the same then chain 1, turn your project, and repeat the steps from the previous row. If it will not be the same color then tie off the end. 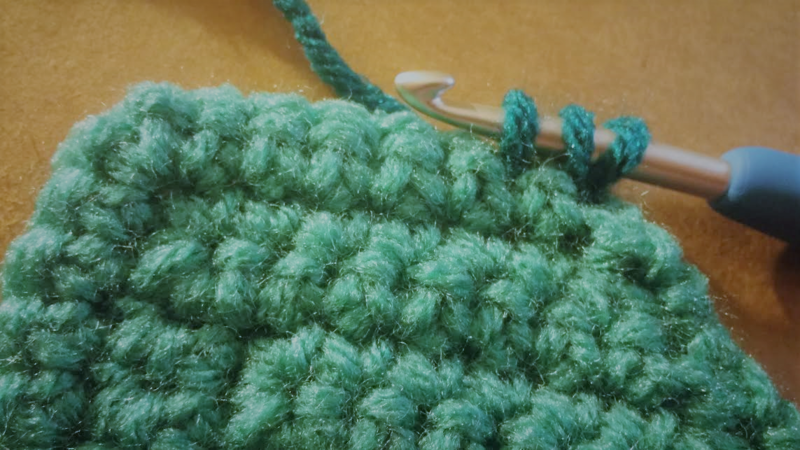 Attach your new color to the last stitch of the first row, and start as you normally would by sc the first two stiches together. I really recommend keeping up with tucking in those tails, otherwise your going to have to go back and that’s going to be a very annoying end to your project. Repeat this every row, every day for a whole year and you will have yourself a pretty awesome blanket that is one of a kind. So far I have found it very relaxing to take a few minutes each day to complete a row. Every day I get a little sense of accomplishment as a new color gets added, or even just by watching it grow, but there isn’t that pressure to try and finish it quickly. Something that equally drives me crazy as well as comforts me. What can I say, I’m a complicated person sometimes 😛 .